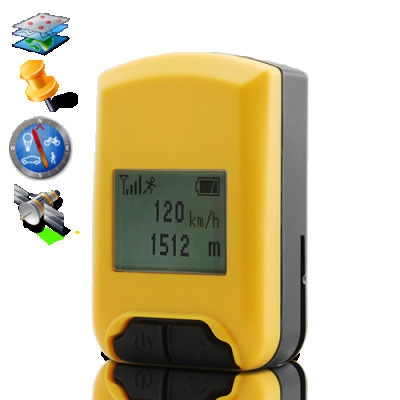 GPS Receiver: If you enjoy outdoor sports and recreation such as hiking, biking, skiing, mountaineering, or wilderness photography, this incredible gadget co- ordinates with overhead orbiting satellites to give you instant position data like longitude, latitude, attitude, and velocity. You can also single-click record P.O.I. (points of interest) data to download to your computer when you get home. It even retrieves satellite verified UTC time. Of all the many features this GPS gadget has, two come to mind as outstanding. The first is, the LCD display. Instant visual communication of important information like your exact point on Earth. Also, if you've ever used a GPS device without a display, the thought of saving thousands of waypoints while you're traveling with no visual proof that it's being saved is an anxiety-filled experience. With the CS38-N1, you log a data point. You have immediate visual confirmation that it's done.